"Dr. Majdanski has an excellent bedside manner." "The doctor and receptionist were both very welcoming, comforting people." "Very happy with communication, care, and service for my mother's procedure." "The best doctor! Very calm and concerned about his patients. Takes his time with you." "I would definitely recommend this practice to anyone I know." "My experience was amazing. Dr. Majdanski is attentive and he cares about his patients." Local Foot Doc is proud to provide top-of-the-line podiatric care, including foot and ankle surgery, to men, women, and children throughout Brooklyn and Queens, New York City, NY. Because the best care is accessible care, the practice has offices in Brooklyn and Queens, in the neighborhoods of Woodhaven, Forest Hills, and Astoria. To book an appointment, call or use the online booking tool today. 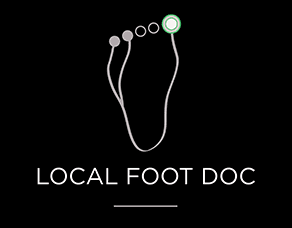 The mission of Local Foot Doc is to improve patients’ overall health through the highest quality podiatric care in a comfortable, relaxed environment. Expertly led by board-certified foot and ankle surgeon Waldemar Majdanski, DPM, FACFAS, the practice is not only a place where people can get relief from foot and ankle problems, but it is also a resource for friendly, expert health guidance. At Local Foot Doc, every patient receives compassionate care, which includes the education necessary to be informed participants in their own medical treatment. 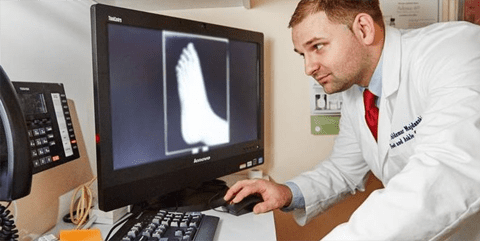 Podiatric health issues can greatly impact a person’s overall health and well-being, so Dr. Majdanski and his team of doctors take the time to educate each patient about their condition and to answer all their questions. The most effective medical care is based on a strong doctor-patient relationship, where every decision reflects the patient’s knowledge and input. Our mission is to improve the health of patients by providing them with the highest medical and surgical quality of care of foot and ankle pathology. We offer broad array of services geared to address today’s most common foot and ankle conditions and injuries. We know there is no such thing as one-size-fits-all cure, so we never use a one-size-fits-all approach to your diagnosis. Our goal is to improve and maintain your overall foot health and to empower you with an understanding of your condition and wellness plan. We offer a variety of preventative care services such as annual foot physical exams, especially diabetic foot check ups, as well as provide our patinets with literature for a maintance of healthy feet. We offer the latest conservative care for the treatment of foot and ankle conditions, which include, bunions, hammer toes, flat feet, neuromas heel spurs, tendinitis, warts, fungal nails, corns and calluses, and ingrown nails. We also offer the latest surgical treatments for foot and ankle conditions. 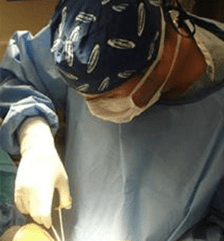 Our doctors specialize in minimal incision surgery for the treatment of bunions, hammer toes, ankle problems, flat feet, foot and ankle arthritis. "I saw Dr. Majdanski in his Queens office. He is friendly, warm and caring professional, with a great sense of humor, and he really cares about his patients." "My experience has been excellent- professional and supportive. I would recommend the doctor and staff to anyone." "The doctor was very nice and made me feel comfortable about my feet. He took his time and I did not feel rushed. He also made sure I knew all my treatment options." "Dr. Majdanski is very thorough and provides extremely great advice towards prevention and care. His attention to detail is impeccable and he lends excellent service." "I highly recommend Dr. Majdanski to anyone who is having any pain in their foot or ankle. Very happy with communication, care, and service of my mother's bunion removal procedure. Highly ... Very happy with communication, care, and service ..."
Dr. Majdanski is very thorough an provides extremely great advice towards prevention and care. His attention to detail is impeccable and lends to excellent service. He has a very nice bed side manner.